Visit our Event Calendar to see the latest updates. Meet every Thursday from 7:30 to 9:30 pm to meditate, connect, and to hear and discuss the Dharma. Weekly readings and teachings on the 'Buddha Mind,' with applications in both formal meditation practice and ordinary life issues. Brief refresher lessons in traditional Buddhist mind training will also be built into each class to highlight the Buddha Mind presence. Forty-five minutes of silent meditation followed by a talk and discussion of Chan instructions by Great Master Han Shan Te Ch'ing of the late Ming dynasty. Suitable for beginners and experienced practitioners. Date and Time: Please check calendar for updates. Every month, usually at the last Tuesday, Rev. Heng Sure host a Tea and Dharma night at the Teance Tea Shop at Berkeley for a casual gathering talking about current events, tell stories, accompanied with music and fine tea. Please come join us for delicious tea and stimulating stories and songs! You may see here for pictures from previous gatherings. The program starting at 7:30 pm will include Chanting, Meditation, taking of the Refuges and Precepts, and a Dhamma talk. All are welcome. Ayya Anandabodhi & Ayya Santacitta, two Buddhist nuns resident at Aloka Vihara, SF are offering an evening meditation, Dhamma reflection, and dialogue on the 3rd Sunday of every month at BBM. Ayya Santacitta and Ayya Anandabodhi have both been practicing meditation for over 25 years. After living as nuns in the Forest Tradition of Ajahn Chah for many years, they took bhikkhuni ordination in 2011. 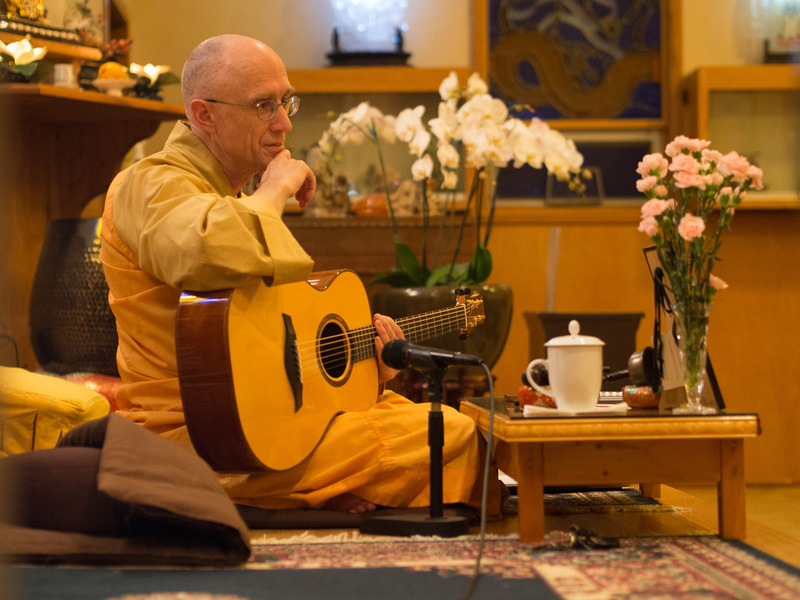 They currently reside at Aloka Vihara near Placerville, CA, a training monastery for women. Their teaching style is practice oriented and draws from experience of community life as a means for cultivating the heart and opening the mind. For more info, visit www.saranaloka.org. * Guest teacher Ayya Santussika began monastic life in 2005 after training and practicing as an interfaith minister. She ordained as bhikkhuni in 2012 and currently resides at Karuna Buddhist Vihara in Mountain View. She focuses on applying the Dhamma to our global challenges and our daily lives and is a board member of Buddhist Global Relief. For more information, visit Karuna Buddhist Vihara.